Who would have thought that not one but two of this year's LEGO® Architecture sets would provide the necessary 3x3 dishes for Peter Reid to create entire new fleets of his iconic robot turtles? Having analysed all the exciting new parts in 21042 Statue of Liberty, I simply had to send the Sand Green elements off to him to see what would happen. 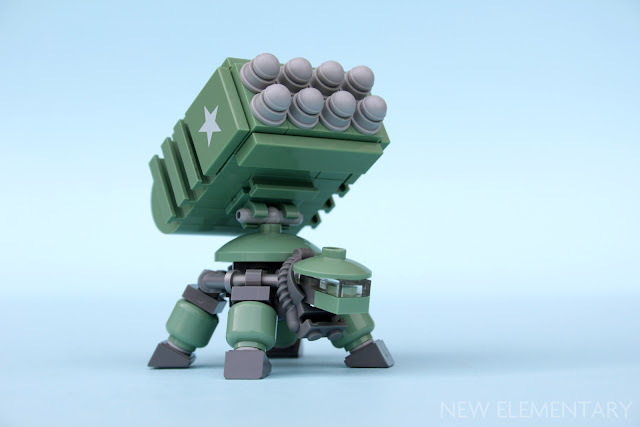 Receiving the parts from New Elementary (along with some gentle bullying by Brickset) meant it was time for another robot turtle. It only seems like a week or two since we got Magenta ones. What a time to be alive. Tim asked me to make a single Sand Green turtle, but one thing led to another and I ended up developing some additional models, which nobody asked for. 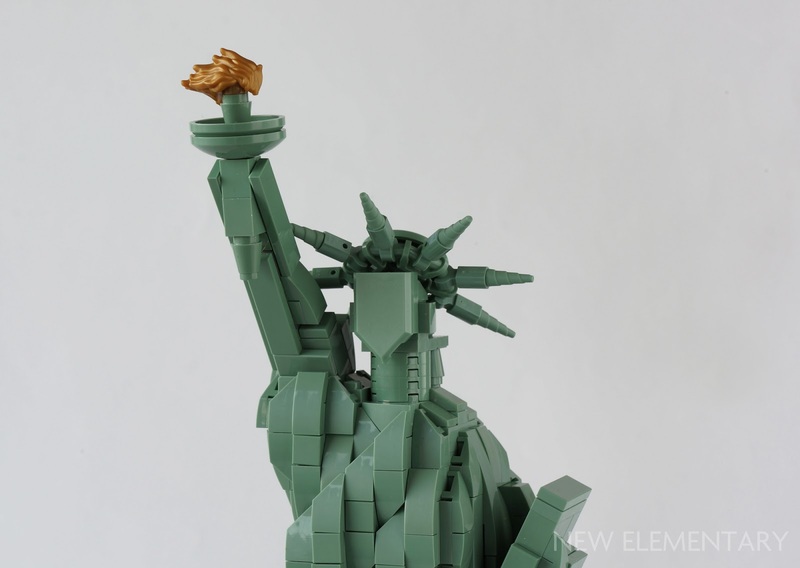 Packed with interesting techniques, LEGO® Architecture 21042 Statue of Liberty is my favourite build of the year so far. Today, I'm going to examine the parts that have been provided in new colours in this new set and show a couple of cool techniques that the designer has used. Spoiler alert! 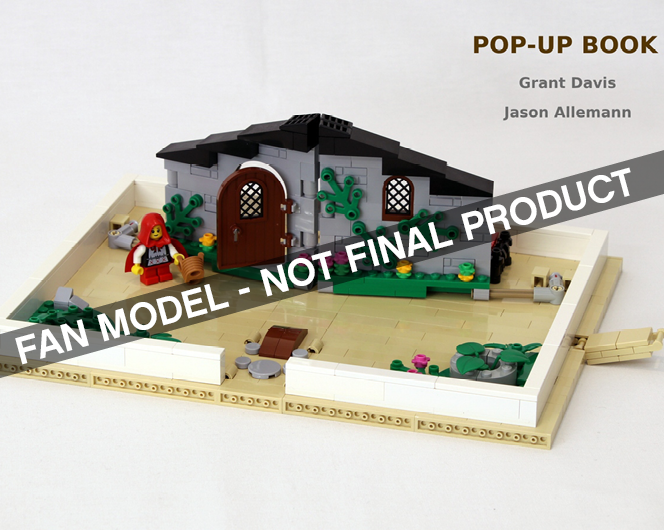 If you don't want to know what this year's LEGO® Inside Tour set is, look away now. Because Márton Ferenci was fortunate enough to attend and has given us this brief insight into the set, which can now be revealed to the public. Being part of the LEGO Inside Tour is part luck, part madness. 3000 people signed up and a lucky 170-ish got chosen. Each year the participants receive a limited edition set, the subject of which is handpicked by the Kristiansen family to commemorate this special occasion. 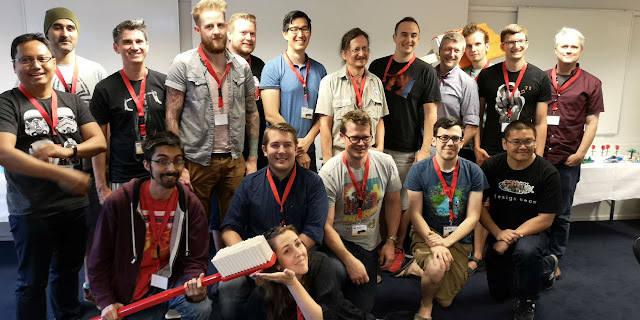 The box gets handed out at the end of an intense 2.5 day journey deep into the real LEGO “land”. After learning so much about moulding, visiting the factory and meeting the LEGO designers (above), it is a true highlight to be given one of these. 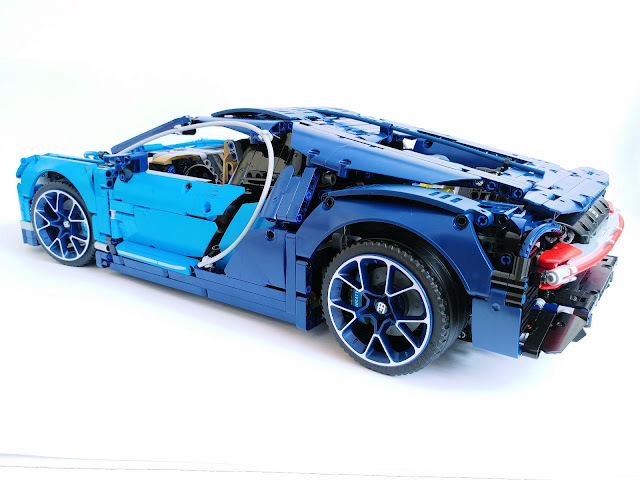 Alexandre Campos has already examined all the new parts in the LEGO® Technic 42083 Bugatti Chiron and now turns his attention to the incredible build process. 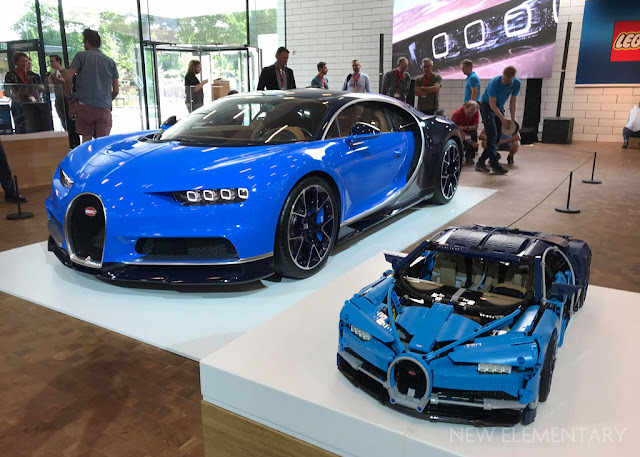 As mentioned previously, 42083 Bugatti Chiron is divided into six numbered boxes, each with numbered bags, and this is a godsend. Having to search among 3599 parts at once would be maddening. Some instruction steps are also extra helpful with the build, especially when Earth Blue [TLG]/ Dark Blue [BL] elements are involved: a red outline marks newly-added elements. Still, make no mistake: this is an intricate and complicated build, and often it's hard to know what goes where, and easy to make mistakes. It's a beast in so many ways – the LEGO® Technic 42083 Bugatti Chiron contains 3599 pieces and is priced at £329.99 / $349.99 / 369.99€. 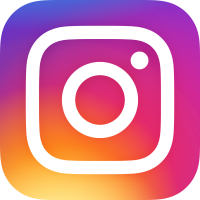 We're celebrating it at New Elementary with a series of three posts this week and to start, Alexandre Campos is opening the box and seeing what new and recoloured parts lie within. After the success of the 42056 Porsche 911 GT3 RS, it was kind of expected that The LEGO Group would launch a second "Technic Expert" set. 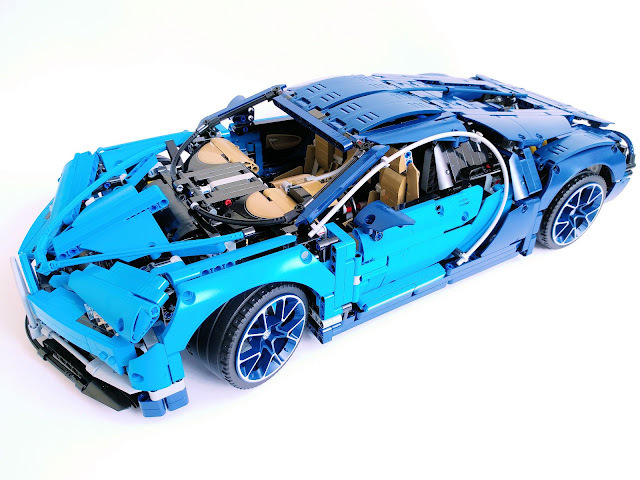 The 42056 raised the bar on size, complexity, and authenticity for LEGO Technic. 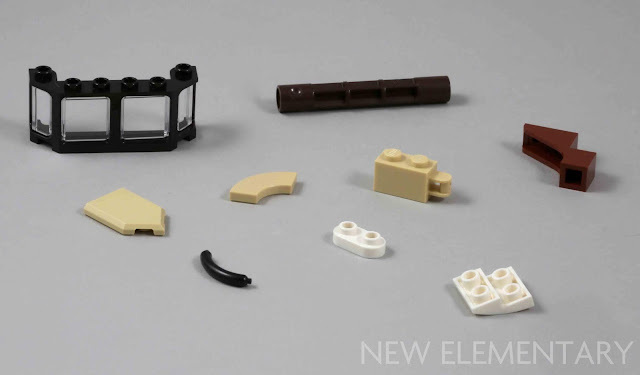 Not to mention it introduced many new elements that would see wide usage across the rest of the Technic line, such as the Technic Steering Wheel Hub Holder with 2 Pin Holes and 2 Axle Holes (Design ID 23801), the Technic Axle Connector 3L (Design ID 26287), or the Technic Panel Curved 7 x 3 with 2 Pin Holes through Panel Surface (Design ID 24119). 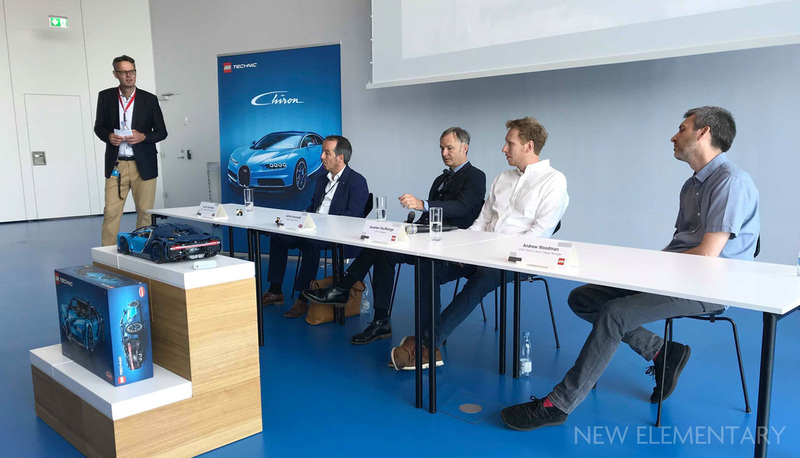 After a period of secrecy and rumours, LEGO Technic set 42083 Bugatti Chiron was unveiled on 1st June 2018 at the LEGO House, with the presences of the top brass from TLG, Bugatti, and the LEGO fan community, plus a real-life Chiron.